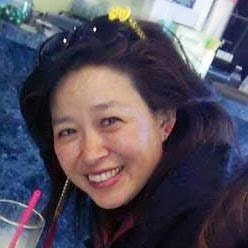 Frances Kai-Hwa Wang: Chicago is the World » Catalyst to Action–Happy Asian Pacific American Heritage Month and National Bike Month! Chicago is the World » Catalyst to Action–Happy Asian Pacific American Heritage Month and National Bike Month! I thought I took precautions! I was careful! You can always spot the bicyclists by that straight white line three to four inches above their knee and little white sock line around the ankle. I have been slathering on the sunscreen every day, trying (hopelessly) to stay fair and lovely (joke), but to no use. I know once that line forms, it is almost impossible to shake. Only two weeks into May and I am already marked. Everyone can see my secret. click on link for more: Chicago is the World » Catalyst to Action–Happy Asian Pacific American Heritage Month and National Bike Month!